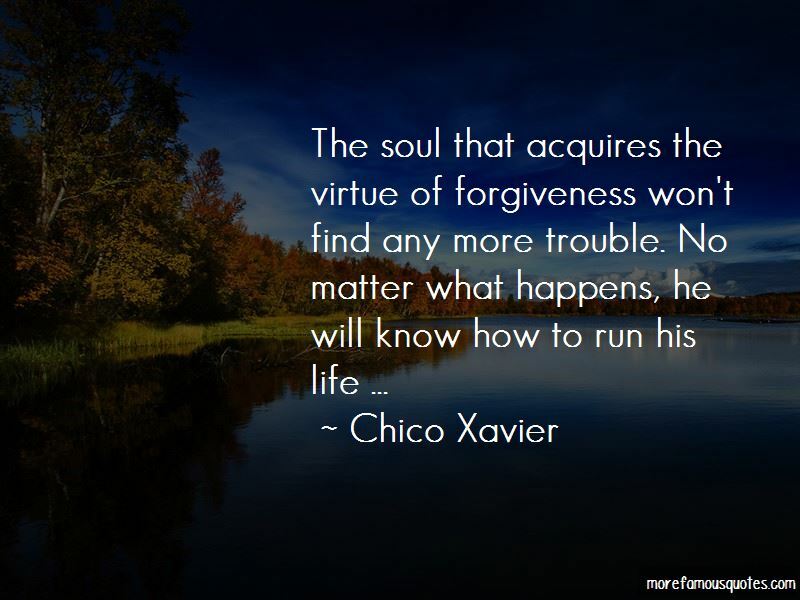 Enjoy the top 30 famous quotes, sayings and quotations by Chico Xavier. Every little bit of peace I bring someone is worth the peace I never had. 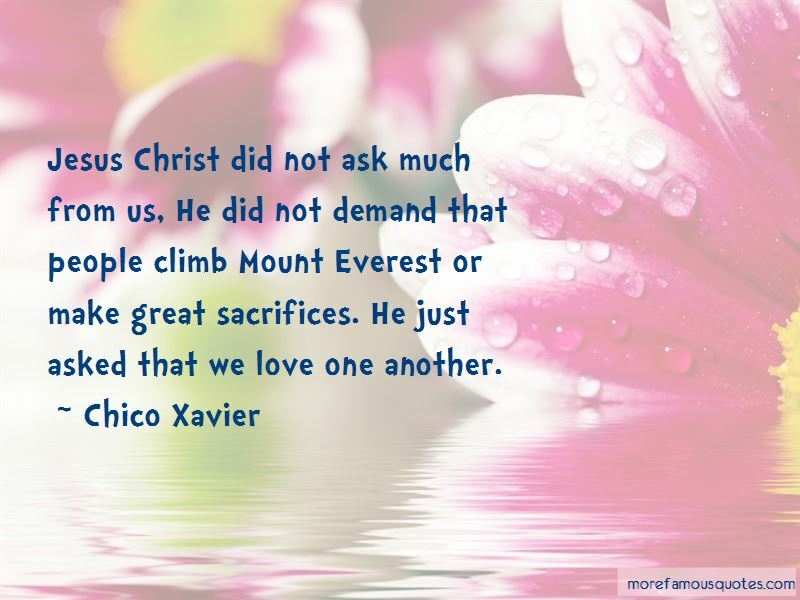 Jesus Christ did not ask much from us, He did not demand that people climb Mount Everest or make great sacrifices. He just asked that we love one another. Help those who make mistakes; your feet walk on the same ground, and even if you possess the possibility to correct them, you have no right to censure them. Do not be angry with an ungrateful person; probably they are confused or inexperienced. Help the companion who is insecure; perhaps they do not have enough to supply their needs, while you retain an excess. It is not up to us to particularize, but rather to deduce that the concepts of human rights originated from the divine influence because, as far as we are concerned, we are compelled to recognize our slow individual evolution from fierce selfishness toward a universal love, from the iniquity toward true justice. Do not be perturbed with by an ill-bred person; in most cases the one who is unsociable has a liver complaint and bad nerves. 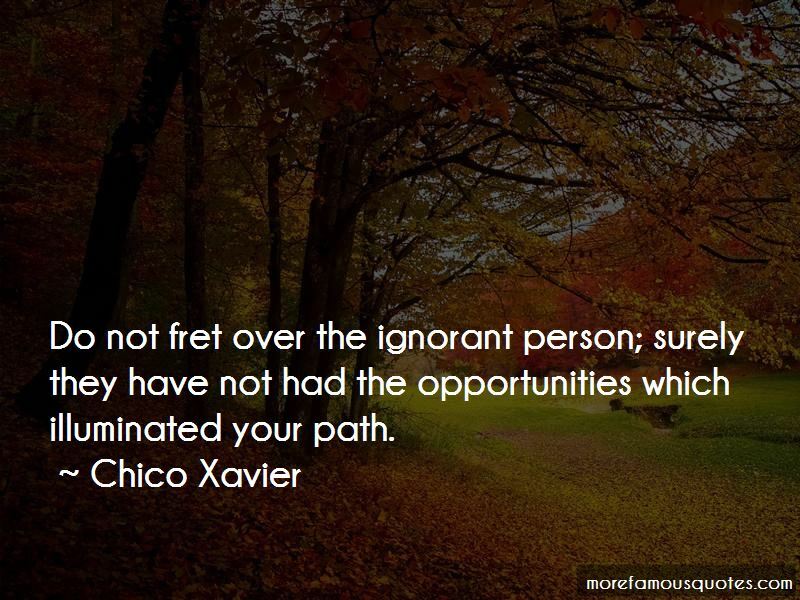 Want to see more pictures of Chico Xavier quotes? 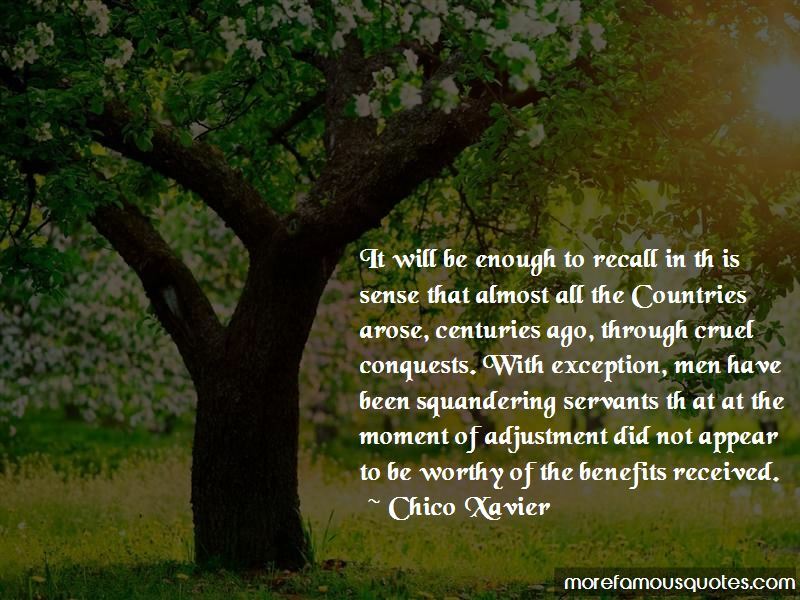 Click on image of Chico Xavier quotes to view full size.